Open 11am-2, 5:30-8pm (LO) daily. 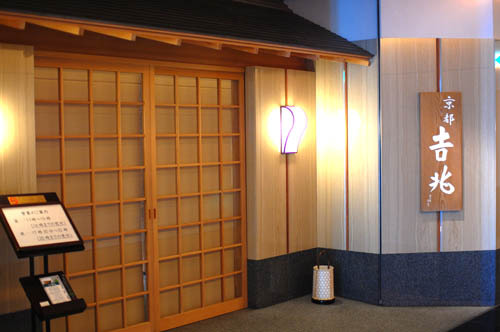 The Nagoya branch of one of Japan's most famous (and most expensive) kaiseki restaurants; the main branch is in Kyoto. Prix-fixe kaiseki menus are priced at Y17,325-32,340 at lunchtime and Y17,325-40,425 at dinnertime. There's also a mini-kaiseki menu (Y11,550) and a boxed lunch (Y5000). Private rooms are available for a bit extra. Nakamura-ku, Nagoya, Meieki 4-7-1, Midland Square 41F.